Software. Hardware. Networks. Wireless. Entrepreneurs face a bewildering array of choices and decisions when it comes to incorporating technology into the fabric of their businesses. Yet nothing could be more important these days. Aligning information technology (IT) with business strategy is essential to meet and beat the competition. As business strategy and technology expert CJ Rhoads shows, managing information technology effectively is an essential skill that all entrepreneurs must develop, just as they develop skills in sales or finance. However, due to the immaturity of the IT industry, making good decisions about information technology is very difficult. Reliable and unbiased information is hard to find, and technical people are often unable to convey information in a way that makes sense to entrepreneurs. 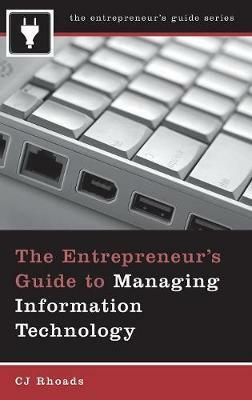 The Entrepreneur's Guide to Managing Information Technology to the rescue!